In 1882 Sir C.W. Wilson, Britain’s consul-general in Anatolia did what many British diplomats did in the 19th century when visiting the classical world. He took pieces of it back with him to London. 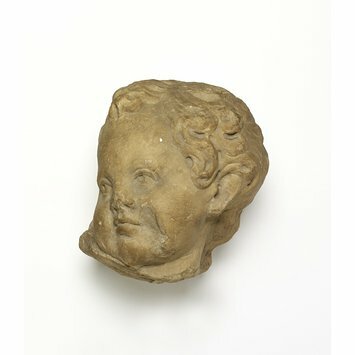 In this case this small infant’s head which was removed from what is know known as the Sidamara Sarcophagus. Wilson hacked off the head, and reburied the Sarcophagus hoping to return for the whole thing later. 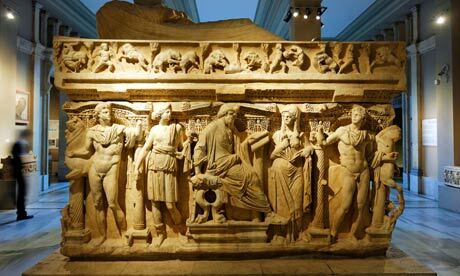 He was never able to return, and the sarcophagus was ‘rediscovered’ in 1898 (can anyone tell me by whom?). I remember seeing this small head at the V&A some years ago, and it always struck be then, without knowing th efull story, that it was incredibly odd to have just a small little head on display.